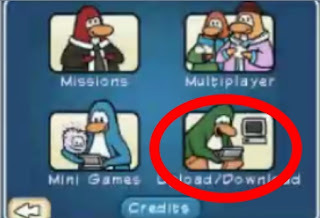 How to Upload and Download! First you must click the 4th picture! Once you do that you will see 3 options! Access Previously Downloaded Content- Here you can look at the last downloads you had. Connect to Nintendo Wi-Fi Connection- Here you can upload coins, download missions, and take polls! Nintendo Wi-Fi Connection Setup- Here you can set up your Wi-Fi connection!